The significance of data and information has increased and continues to grow. Modern IT organizations are at the center of this development. An immense number of expert tools generate a waterfall of data from the fields of development, operations and business. The real task is to use this data in a meaningful way. Enterprise Architecture (EA) is the discipline which generates precisely this business reference for silos of information for the IT. 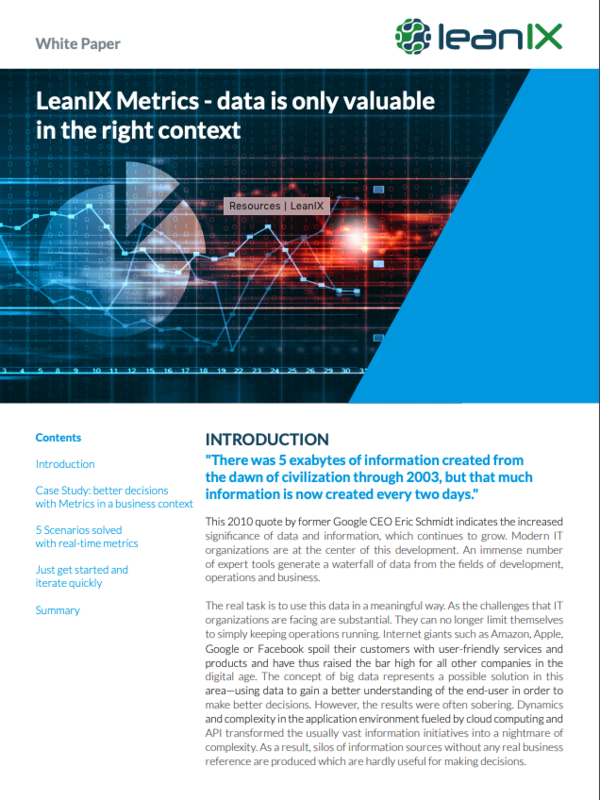 This whitepaper shows how consolidation of Enterprise Architecture methods and real-time metrics offers a large opportunity to place data into the right context and bring EA initiatives closer to the pulse of digital transformation.